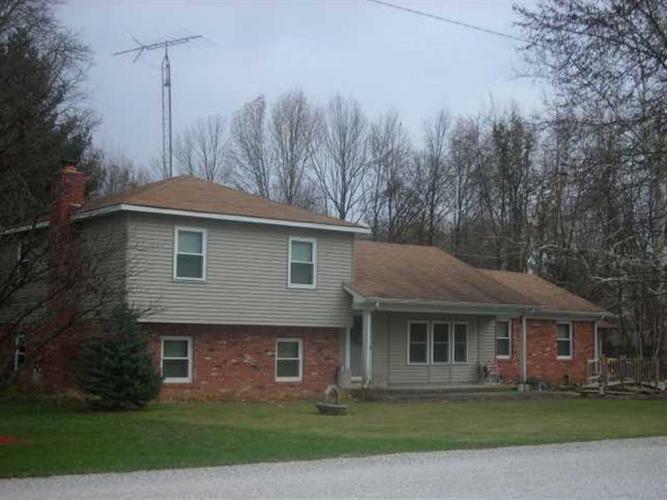 Super nice 4 bedroom, 3 bath home located in the highly desired Jackson Township Area. Very spacious rooms make it nice for a large or growing family. This property has a 2.5 detached garage and sits in a very peaceful setting. The enclosed sun room is a bonus in enjoying beautiful sun rises and wildlife. Directions:South on SR 59 to 600 North (Airport Rd) turn east for 1.75 miles. Home is on right on south east corner of 600 N and 75 E.
Listing provided courtesy of Emmert Realty.